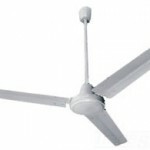 Moisture & Dust Resistant Ceiling Fans. 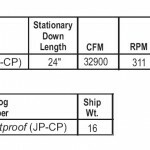 Shipped Complete with Safety Cable Included. 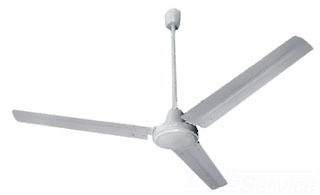 All MARK Series Ceiling Fans are Painted with Electro-Static White Paint. Multiple fans, wire in parallel. 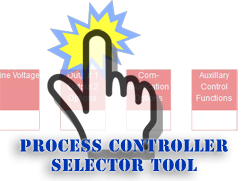 Ambient temperature for all models is 104°F (40°C). 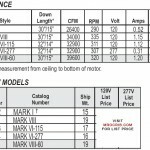 State and Local Electrical Codes apply to all installation procedures. *Recommended for quiet applications, such as churches, schoos, etc..
Pre-assembled with Watertight Power Cord and Safety Cable. 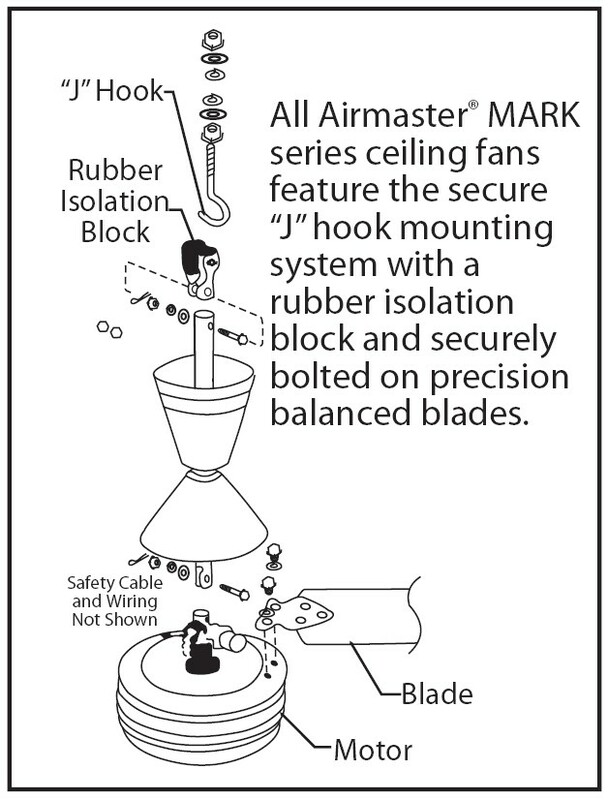 All Airmaster® MARK Series Ceiling Fans feature the Secure “J” Hook Mounting System with a rubber isolation block with securely bolted, precision balanced blades. 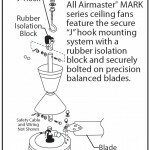 Airmaster® EDP & Cat. 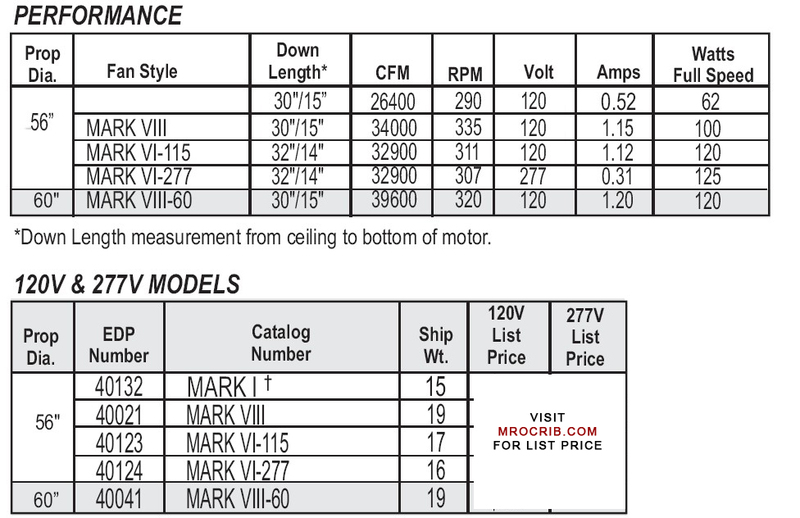 Numbers:Controls For Commercial & Industrial Ceiling Fans.